Casa Escondida Bed & Breakfast is a Santa Fe area bed & breakfast which is located in historic, Chimayo, NM (just 35 minutes north of Santa Fe). Just in time for the holidays and those chilly fall and winter nights, we are sharing our quick and easy recipe for our New Mexican hot chocolate! It’s perfect for sipping while sitting next to the fire or as an après ski drink. Whisk all 3 of these dry ingredients together and store in an air-tight canister. This mix will have Santa saying jo, jo, jo! When you brew this up, you will find that the cinnamon is deliciously aromatic. It pairs perfectly with the chocolate and the red chili is a wonderful little surprise that will warm you from the inside out. 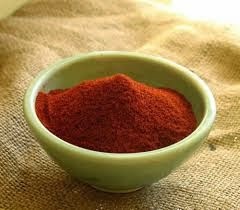 The guests at Casa Escondida Bed & Breakfast love this somewhat exotic hot chocolate mix. You and your holiday party guests will love it too but ssshhh….. you don’t need to tell anyone how simple it is to prepare. 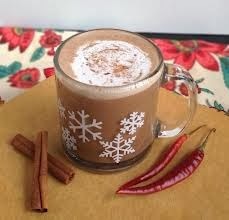 While a guest at Casa Escondida Bed & Breakfast, we invite you to relax and enjoy a cup of our New Mexican hot chocolate during your Santa Fe area vacation. Casa Escondida Bed & Breakfast is a delightful New Mexico retreat, which has rooms available year-round. We are perfect for a romantic New Mexico getaway too. Contact Casa Escondida B&B to check room availability or to inquire about a reservation. Casa Escondida Bed &Breakfast is a green bed & breakfast, which provides Santa Fe area pet-friendly lodging in 4 of our 8 guest rooms. Enjoy your New Mexican hot chocolate and Casa Escondida Bed & Breakfast. We look forward to having you as our guest!